…and quite fitting for today, are a bunch of Halloween decorations. One of the boxes I found in the attic was full of all the holiday decorations my mother saved from when I was kid. Included in this box were some vintage cardboard Halloween decorations we used to pull out every year. I had not seen these in years, but as soon as I saw them I was transported back to my childhood Halloweens. These decorations are just pieces of printed cardboard, but they were the coolest things every year when we pulled them out the box. The skeleton (below) was put on the front door every year to greet the trick-or-treaters, and my brother and I used to fight over who would have the honor of hanging it. 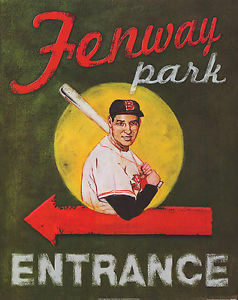 Congratulations to the World Champion Boston Red Sox! 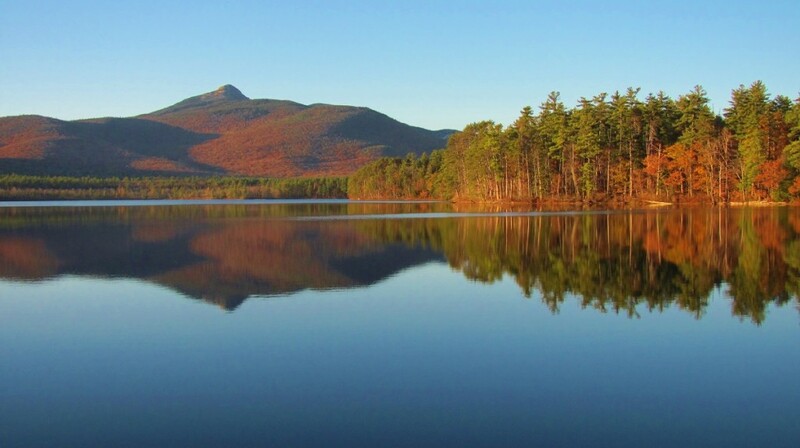 In the early days of Lost Cowboy, I shared stories about cleaning out my parents’ country home in New Hampshire after they moved to a more manageable homestead in their golden years. 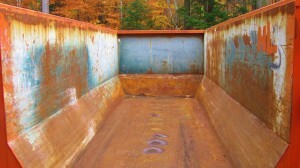 We filled a dumpster or two with all sorts of stuff that they had accumulated in the house and barn and left the rest for the future. Anyway, in the intervening years, I moved into the house (where I am now) to take a bit of a sabbatical from my career and continue to clean up the property for its eventual sale. 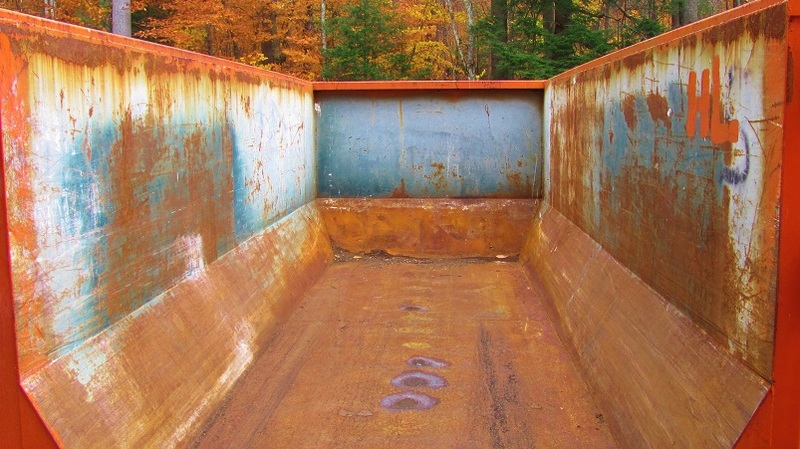 This past week I have played host to another dumpster – all 30 square yards of it – which was filled with more stuff from the barn, attic, and basement of the old house. The first “Dumpster Weekend” back in 2009 was very emotional for all of us, especially my parents, and it was very tough as it was the first big sign of huge life change. 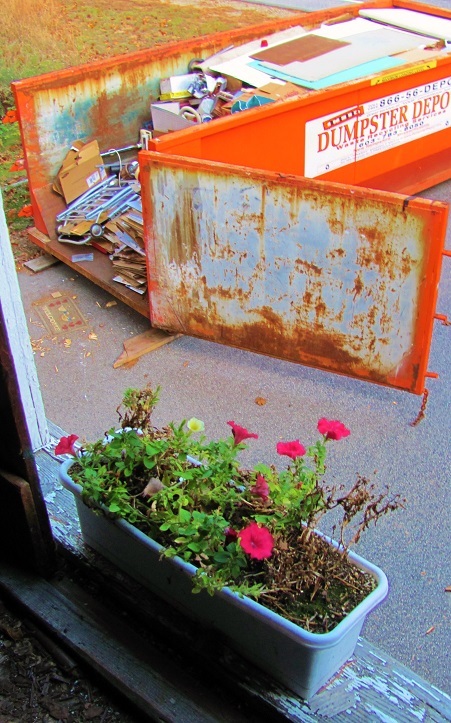 This recent Dumpster Week was less emotional and more therapeutic as much of what was thrown into the dumpster was really trash that had no real value but was just cluttering up the house. That said, as I poured through various boxes of stuff there were a few cool “finds” that I saved from the dumpster – which I will be sharing here in the coming days. One of the classic “monsters” rolled out every year at this time is The Mummy. I like the idea of mummies walking around, kind of like old-school zombies. 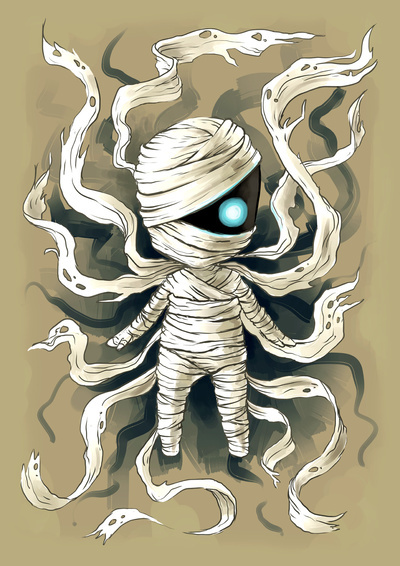 Anyway, I really like the Mummy graphic from Freemind that is offered as an option on a variety of products from Society 6. 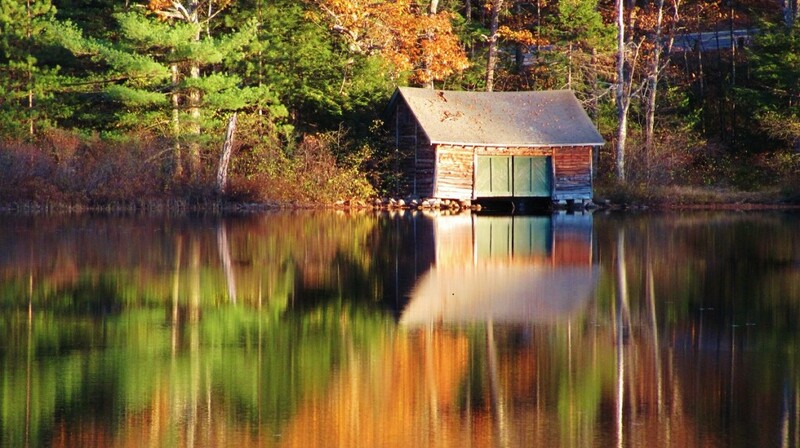 Products like a Gallery quality Giclée print. 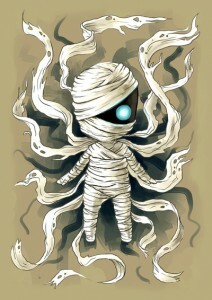 Find Freemind’s Mummy print (and related products) from Society 6 here. 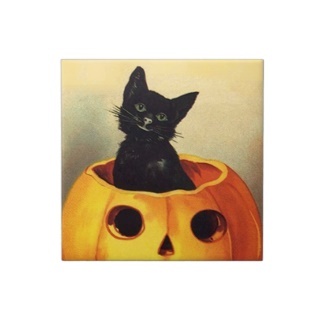 See all the great products from Society 6 here. On this eve of All Hallow’s Eve (Halloween to the rest of us) I thought I would reach back into the archives for the scariest book I ever read: Salem’s Lot by Stephen King. When I was a kid, I remember my mother reading all of Mr. King’s early books and saying how scary they were, especially when she was up late reading when the rest of the house was asleep. When I was in high school, I decided to check out one of the novels and chose Salem’s Lot. I must say from the beginning I was creeped out. (I was even more scared by the TV miniseries based on the book I watched with my mom – we both let out shrieks at key moments). Anyway, I recently found a well-thumbed paperback of Salem’s Lot and sat down to read it again. I was struck with fits of nostalgia and can say that it holds up in the way that the best classic horror fiction can. With all the popular horror fiction that is all the rage these days, it is clear that Mr. King remains the, er, king of the genre. Although I have read only a few of his other books (his Pet Sematary being the second scariest book I ever read) I respect his talent and his prolific output that has been cemented in our collective popular culture. 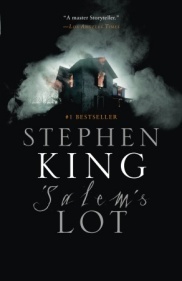 Salem’s Lot by Stephen King is available from Amazon and other fine book retailers (and used book stores everywhere). 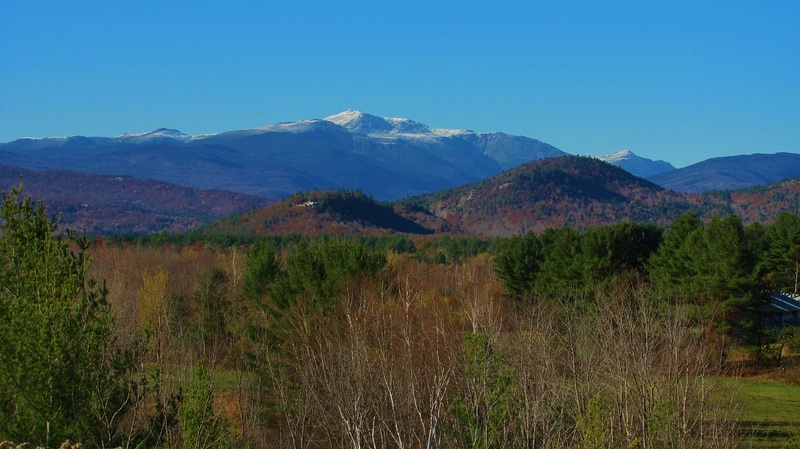 Meanwhile, farther north, the summit of Mount Washington has snow, a sign of things to come. In fact, the forecast is calling for temperatures in the 20’s and a chance of light snow over night tonight. Did you know that whole thing about razorblades in apples at Halloween to hurt children is a total urban legend? Well, it is. Anyway, nothing says autumn and Halloween better than a good old fashioned candied apple. 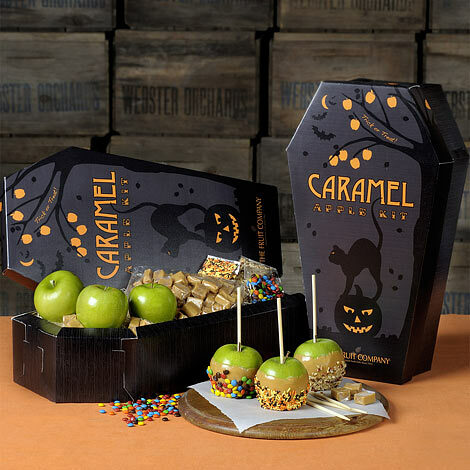 The fine folks at The Fruit Company make it very easy to share the joy of candied apples with their Carmel Apple Kit – which you can send to friends and family anywhere. 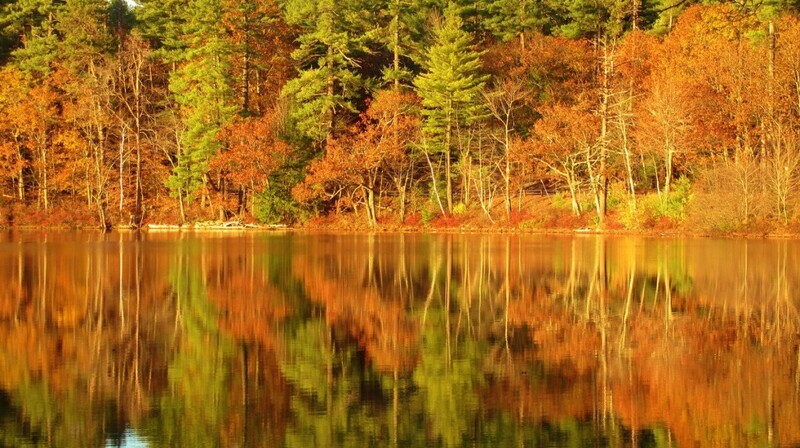 By the way – with expedited shipping – you still have time to send as a gift before Halloween. Find the Carmel Apple Kit from The Fruit Company here. Find all the seasonal gift options from The Fruit Company here. 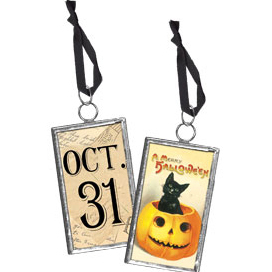 When it comes to ornaments, Christmas gets all the attention, but Halloween is right up there these day with plenty of ornament options like the Merry Halloween Ornament from Elizabeth’s Embellishments. See all the Halloween products from Elizabeth’s Embellishments here. I miss my container garden! I miss my container garden, I am not going to lie. The autumn freezes have pretty much killed off the last of anything still growing here in New Hampshire and it is a long time until spring. However, I have found a couple of cool things to help the gardener in me make it through the winter. First, to help me organize all the seeds I have collected from my flowers and vegetables this past season, there is the Seed Packet Organizer & Seed Envelopes from Gardener’s Edge (above right). 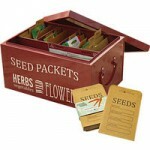 Right now I have my seeds in little cups and envelops and they are all over the place. The Seed Packet Organizer is the perfect thing for someone like me. 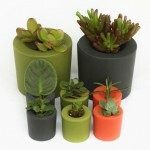 See all the products of Gardener’s Edge here. 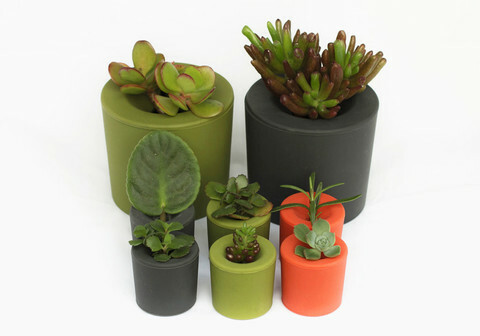 Meanwhile, to help keep cuttings and other plants going indoors over the winter there is the Rootcup Planter – which makes the whole process easy. The Rootcup is also great for forcing bulbs inside – like the Paperwhites I like to grow for the holidays. Visit the Rootcup shop here. Lost Cowboy is powered by	WordPress 5.0.4 and delivered to you in 1.037 seconds using 59 queries.